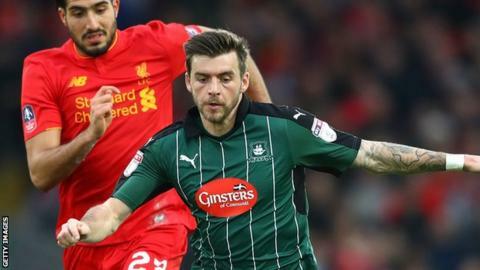 Plymouth Argyle playmaker Graham Carey has signed a "significantly improved" deal with the League One club. The 28-year-old had been considering his options, as he was out of contract this summer, after helping Argyle to promotion out of League Two last term. But Carey, who has scored 27 goals in 100 appearances for Argyle, penned his new contract on Thursday as players returned for pre-season. The length of Carey's contract has not been disclosed by the Pilgrims.